Three Spring Bases. | By Millie. We have finally been hit with some glorious weather here in the UK. The sun is truly shining, so naturally I wanted to share some spring-like favourites with you we can all enjoy. I hate feeling like a have loads of makeup on my skin when it's hot. That sticky, sweaty feeling is not nice, so why make that 10 times worse with 10 layers of foundation? Day-to-day I do still like to apply my normal routine, especially when I'm still stuck in the UK living that 9-5 life. If I was on holiday, it would be a different story, and I would wear a maximum of 3 products per day...more on that when I actually am sunning it up in a different part of the world. So yes, Spring bases, what do I look for? Well, I like something very light-weight, blendable and buildable, and something which looks good all day long. Let's move on to my weapons of choice. 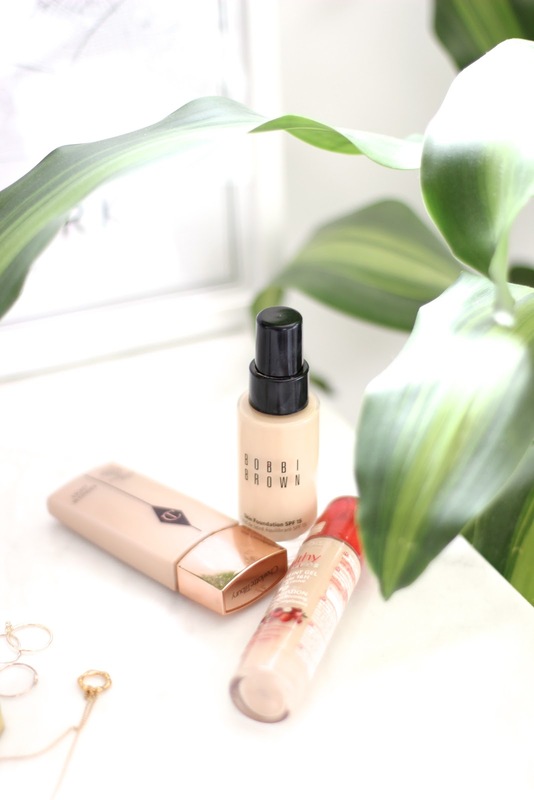 So for those of you who like a little bit of coverage I think the Bobbi Brown Skin Foundation is one to check out. Not only do they have a fab shade range, but the formula is weightless on the skin and looks super natural. I reach for this one the most at the moment, it's such an easy foundation to blend, making it the perfect everyday go-to. I normally use this with a damp beauty blender to keep it very fresh and lightweight. It does work well with fingers too if you're in a pinch. If you had to pick up just one of the three bases I'm mentioning and you don't mind spending a little more, I think this BB one if amazing. I always like to throw in a more affordable option into these types of post - not to fill a gap, but to highlight that you don't always have to splash to cash to get great results. 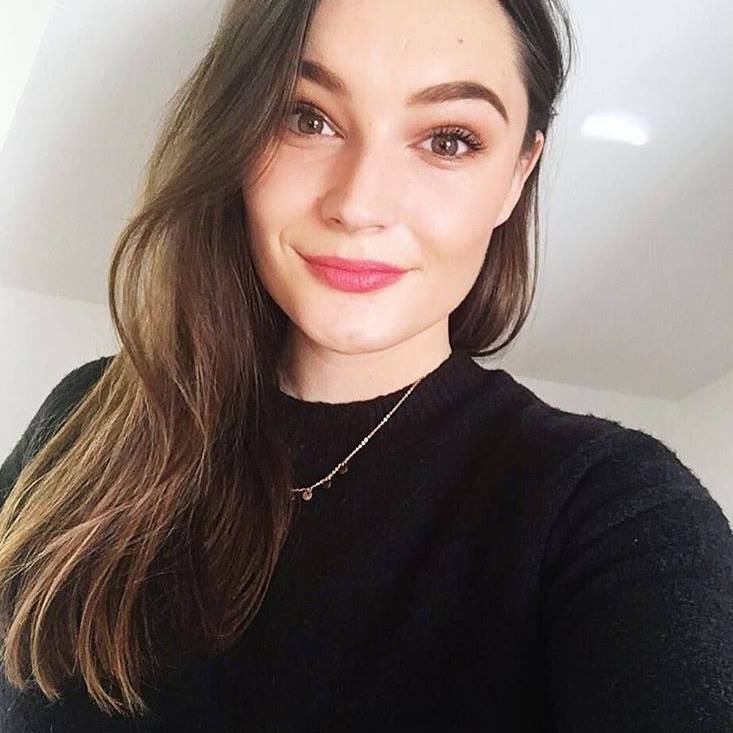 The Bourjois Healthy Mix Foundation is a classic, and a great example of the drugstore getting things totally right. This is a wonderful, lightweight foundation which offers a medium coverage. This feels really lovely on the skin, it's no thick at all and it leaves such a gorgeous dewy finish. I always opt for a dewier foundation in the Spring as they make your complexion look so healthy and naturally radiant. Again, like the BB foundation, the beauty bender is what I use with this. It's just the best tool in my opinion and works with the majority of foundations. I use the serum/gel formula so it's really hydrating which is super important. 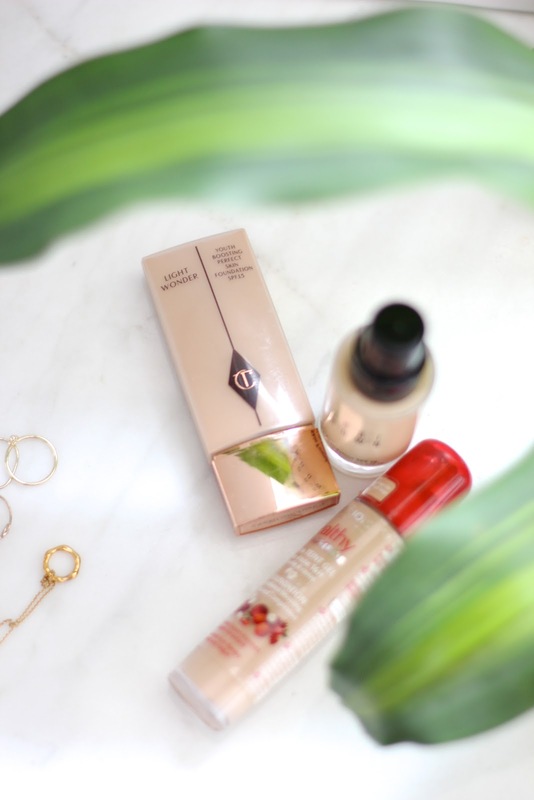 If you like a base which has a little bit more coverage, or something which you can rock in the evenings, the Charlotte Tilbury Light Wonder is a great one. This is slightly thicker in consistency than the previous two, but it's still dewy and doesn't feel too heavy on the skin. I absolutely love CT base products, this one in particular makes your skin look flawless, but still like your skin. Dreamy right? it will still provide coverage and stay all day, just with that added dose of radiance.